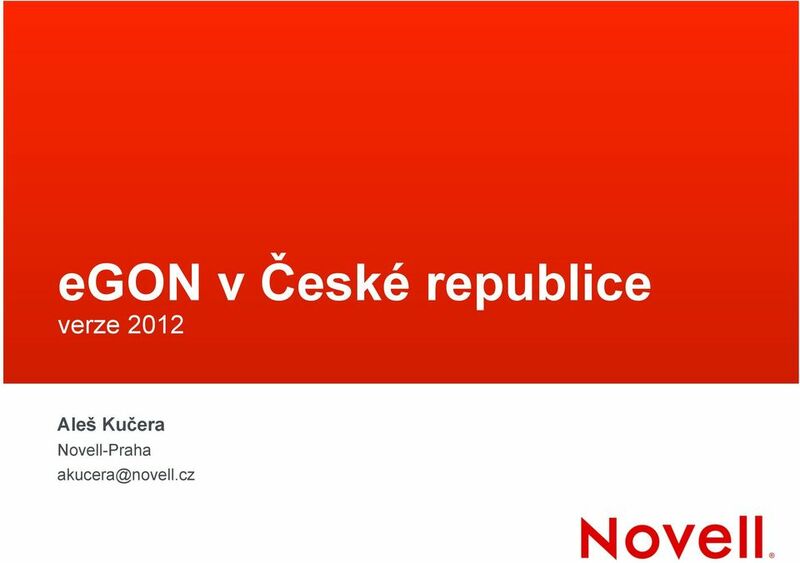 Download "egon v České republice"
15 This document could include technical inaccuracies or typographical errors. Changes are periodically made to the information herein. These changes may be incorporated in new editions of this document. 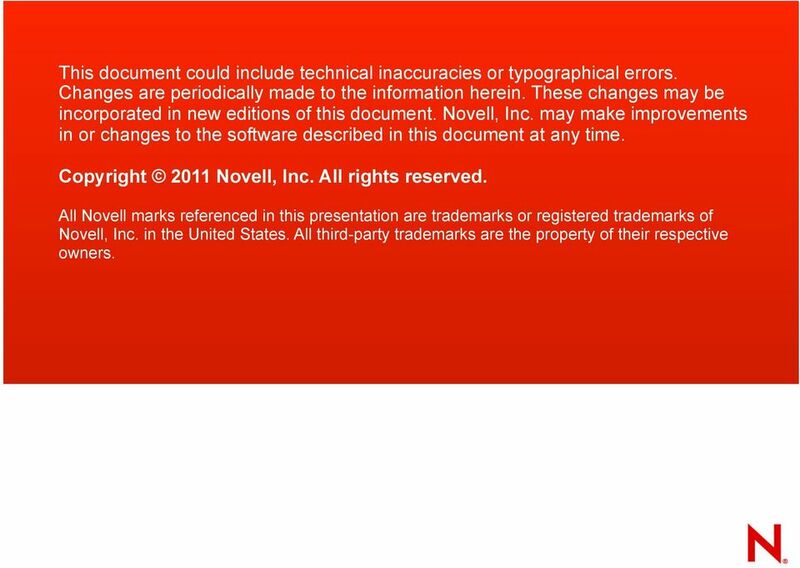 Novell, Inc. may make improvements in or changes to the software described in this document at any time. Copyright 2011 Novell, Inc. All rights reserved. 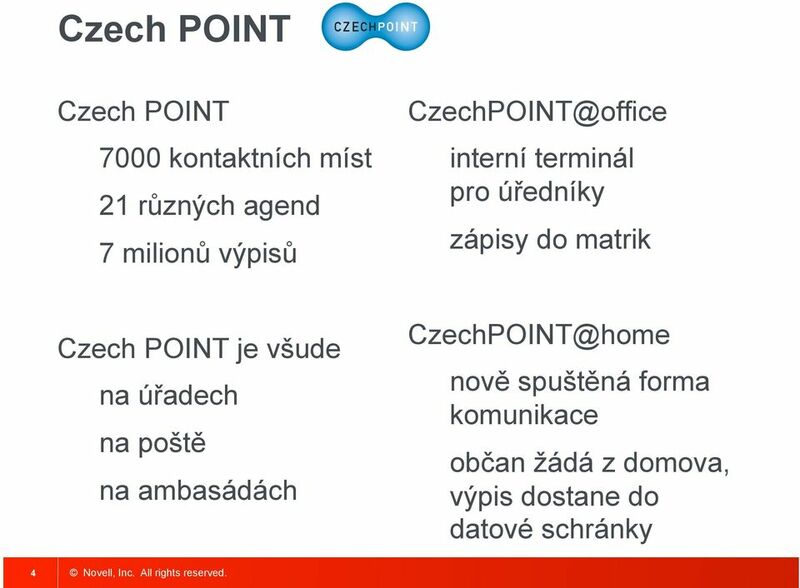 All Novell marks referenced in this presentation are trademarks or registered trademarks of Novell, Inc. in the United States. All third-party trademarks are the property of their respective owners. AIS VITA - využití sdílených služeb celostátních IS. RNDr. 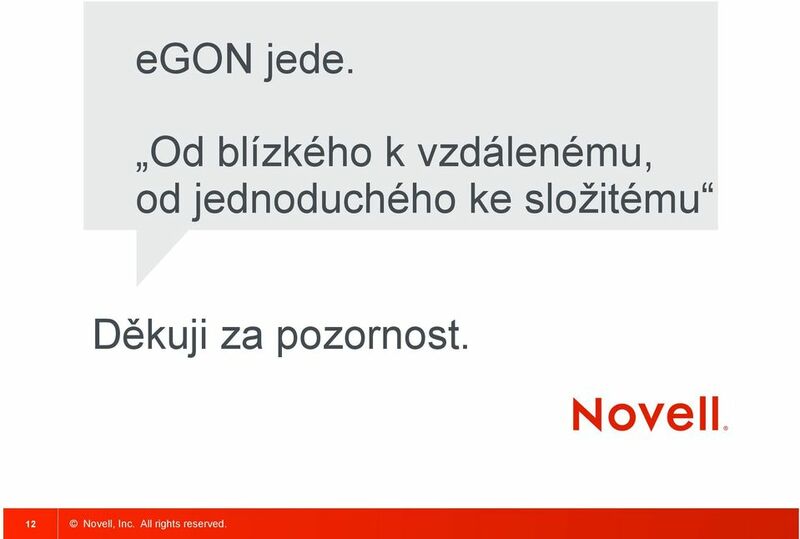 Ivana Havlíková VITA software s.r.o.